The subject of the June 2016 Texas Parks and Wildlife Foundation Focus on the Wild photography contest is “Texas views from the hiking trail.” I live near Palo Duro Canyon State Park, so I figured I’d enter three of my favorite Palo Duro Canyon photographs — all of which were literally taken from hiking trails. Check out my three entries! The following photograph was taken from the Givens, Spicer, & Lowry Running Trail. It’s one of my favorite trails because it’s incredibly scenic and it doesn’t have nearly as many people on it as the Lighthouse Trail. There are quite a few places to do some off-trail exploring, too. 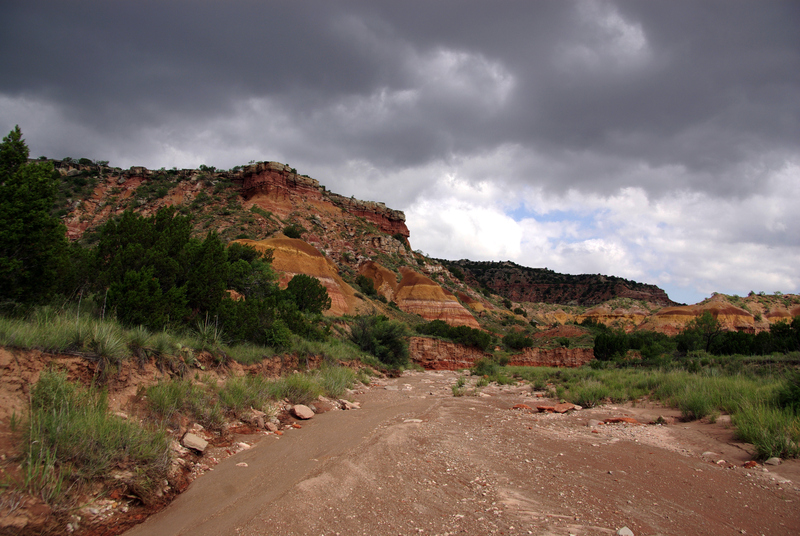 The following photograph of a dry creek bed and storm clouds was taken from the Lighthouse Trail. The combination of scenery and stormy weather in this photograph always makes me pause to take a closer look. 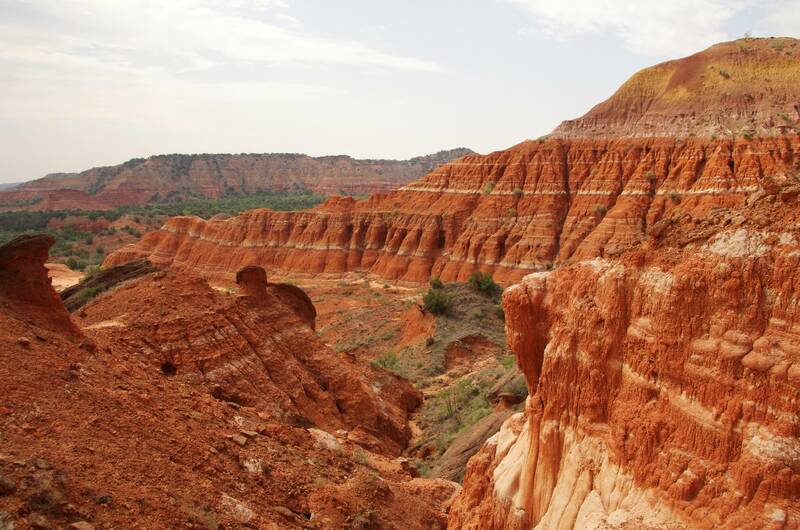 There have been a few new trails created at Palo Duro Canyon State Park since I moved to the Texas Panhandle eight years ago. This photograph was take while I was hiking one of them — the Rock Garden Trail. The Rock Garden Trail directs hikers through an area that fell victim to a rock slide many moons ago. 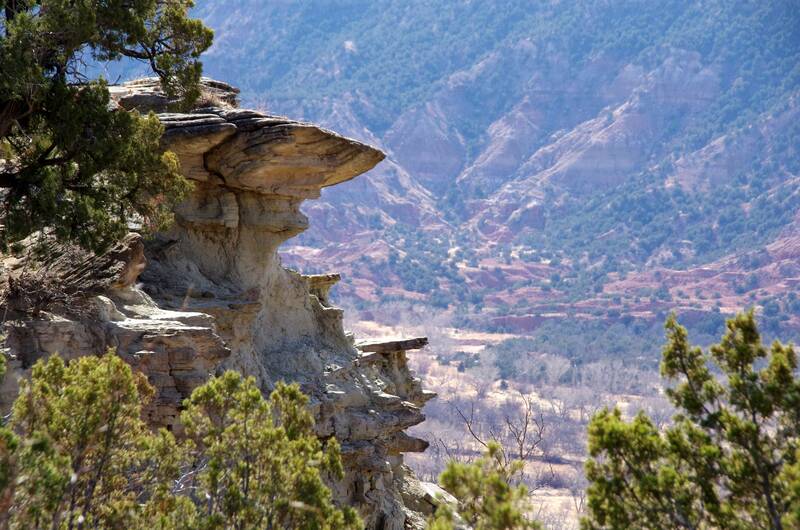 There are quite a few interesting rock formations along the trail. I love that you can see the Spanish skirts in the background of this photo (top right-hand quadrant).